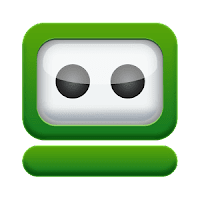 Roboform is a free, top-rated password manager that gives you more security whilst online. It automatically logs you into online accounts and completes online registration and checkout forms with one click. You no longer need to remember all your passwords. You remember one Master Password, and RoboForm remembers the rest. This allows you to use stronger passwords, making your online experience more secure. RoboForm uses strong AES encryption for complete data security. RoboForm provides you with secure access to your passwords wherever you go! One license can be used on all of your devices: PC, Mac, phone, tablet, or even a USB drive. Roboform has been trusted by millions of users since the password management software was introduced 15 years ago. RoboForm makes logging into Web sites and filling forms faster, easier, and more secure. RoboForm memorizes and securely stores each user name and password the first time you log into a site, then automatically supplies them when you return. RoboForm's Logins feature eliminates the manual steps of logging into any online account. With just one click RoboForm will navigate to a Web site, enter your username and password and click the submit button for you. Completing long registration or checkout forms is also a breeze. Fills personal info into long registration & checkout forms. Encrypt passwords using AES-256, Blowfish, RC6, 3-DES or 1-DES algorithms. Backup, restore and print your passwords. Options: sync portable user options during RoboForm data sync. Import: Added import from Keeper, Enpass, PasswordBoss, Zoho, TrueKey and StickyPassword. Check data for duplicates after user changed RoboForm data. Form Filler: fixed it for sso.godaddy.com and biglietteriamusei.vatican.va. Menus: improved and rationalized RoboForm menus. Disclaimer: Direct downloads for the lastest version of RoboForm 8.4.1.1 are provided by the official software's author, we can't guarantee safety, availability or download speed. Moreover, we don't and we won't provide any pirated/illegal versions or tools. We recommend you to avoid it as these methods can harm your device. If you like the software, buy it to support the developers. (We provide software discounts for many worldwide brands).